St Patrick's Day Canberra is all about the fun of being green! You might be out at a local pub with Irish Stew as the dinner course. Or it could be an Irish Moss! Get out and about and even if you are not Irish, put on that fabulous Irish accent that everyone loves at heart. All the best for Irish green ideas of events in Canberra! Get out and about around Lake Burley Griffin and in the City Centre and maybe a progressive tasting of things Irish on the day of Green! Just go to venues randomly and see if they have anything that can be Irish. 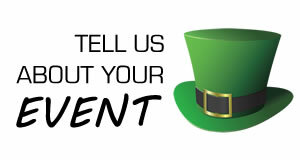 It might be clover or a bottle of green lemonade and let's hope you find that pot of gold at the end of the rainbow! 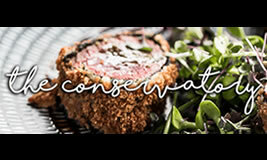 Enjoy a hearty breakfast or scrumptious lunch at the Conservatory Restaurant this St Patrick's Day. 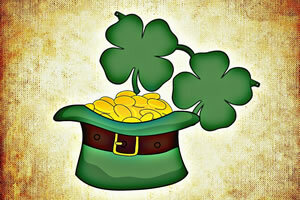 With extensive breakfast and lunch menus you're sure to make this a St Paddy's Day to remember. Looking for somewhere to craic on this St Pat's Day? Check out our quick guide for some of the best locations in the nations capital for St Patrick's Day. St Paddy's Day Celebrations Options of dining at the restaurant or more casual pub menu at the bar with refreshing drinks. March 17th will be full of fun. A great meeting place for the warm of heart! March 17th Irish Celebrations Central Canberra location. And those with a taste for the irish brew can find Kilkenny and Guinness here. Good food and fun live music warm the souls. St Patricks Day Dining Open for Lunch and Dinner. Awesome Irish themed. Drinks to match. Located in the south of Canberra.